In FMCG market, Snacks Category is enormous and the store shelves are cluttered with too many brands. 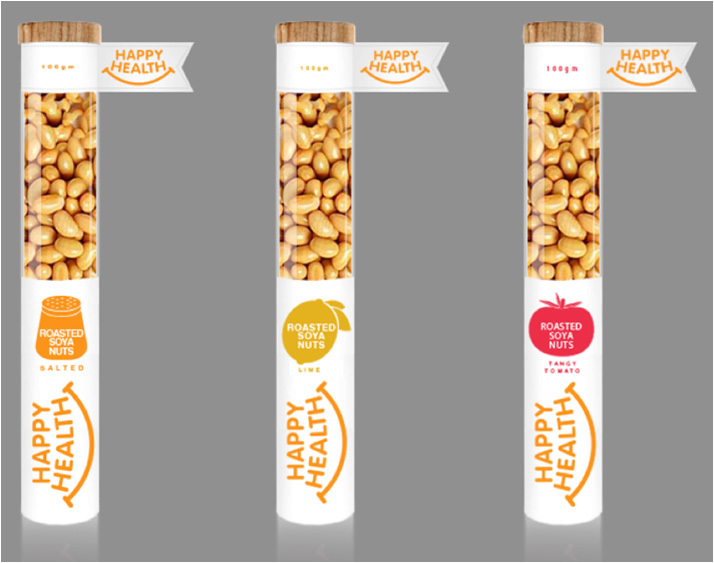 For Happy Health to be an exceptionally looking product and to outstand on a snack shelf, we created a round bottle packaging instead of the typical traditional pouch. Market feedback to healthy snacks is healthy snacks are not tasty. To attract one’s attention, we used bright colour hues of Green, Red, Pink, Orange and Yellow to change the perception of healthy snacks. We used minimalistic graphics of the ingredients to portray the health benefits on snacks.